Me- "Hey Gabe, I have this list of stories I am going to blog, stories of Grandma. What one should I tell next?" Gabe- Pointing to the bottom of the list, "This one. 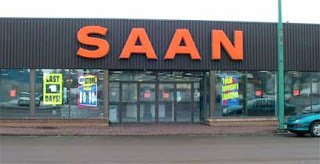 What is a SAAN store?" My mom was a single parent for a lot of years. My bio father and her were divorced when I was 5 and Dawson was just born. Mom and Jones (Steve) didn't get married until I was 10 so we had a few Christmas's that were very very humble. I would never have known it then, mom always made everything feel special. That's how mom rolled. After my parents got divorced mom put herself through college and worked. I didn't realize then, how could I have? 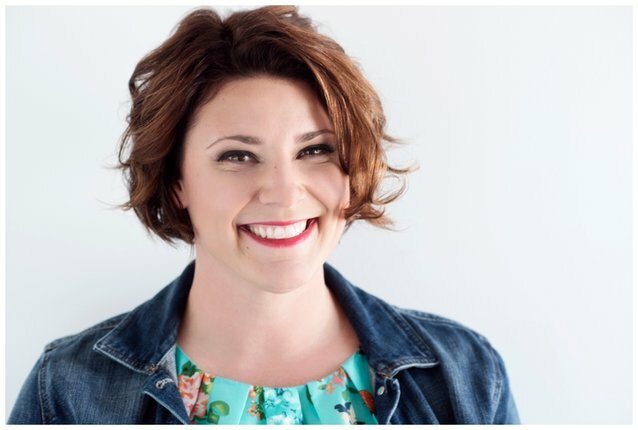 But now as an adult, and having been a single parent myself, I see things differently. I see how she must have struggled. God she must have cried a lot and felt like things would never get better. A few Christmas's, in our small town, we were the recipients for a town food hamper. One year around Christmas In our local SAAN store, we entered a draw for a boy and girl stocking. Now.. let me paint the picture here. These were not just run of the mill stockings, these SAAN store stockings were 20 feet long EACH. They were hanging from the ceiling and were the focal point of the stores decorations that year. I have no idea how we were entered and if I am being honest.. I might question that my mom was lovingly "picked" to be the winner. We were in a small town and I know my mom was loved by many. When we won I don't remember all the details but I do remember being so excited and happy. LOOK AT ALL THESE TOYS!!! There must have been 20, maybe even closer to 30 toys in each stocking for Dawson and I. EACH! Wide eyed and frothing at the mouth, ready to jump in and get busy on playing, I remember my mom stopping us and informing us that we were only going to keep one toy each. OBVIOUSLY disappointed, I must have complained and been like a normal child. Feelings of robbery and that this was completely unjust. WHHHHY?? THEY ARE MIIIINE??? I remember my mom explaining that other kids needed gifts too (having been those kids for years) and that we would pick one gift and put the rest in the town hamper for others to enjoy. After all these years I don't remember what toy I picked, I would give a dozen cookies to know any other details that might fill in other holes in this story from people who were around then, but after all these years all I do remember was that even when we were poor and mom didn't have a lot, she still made sure we helped take care of others. Even when we would have been justified and clearly allowed to have kept everything, she kept things in check and taught us the importance of giving. I am grateful for cookies and especially cookies by George. GOOD LORD!!! I am grateful for on line shopping, waaay easier! Beautiful. What a wonderful mom you have, a wonderful legacy she left. I love this. I think it's so important to continue to be giving when there's so much materialism in this world. What a great lesson your mom taught you, and instilled in you right from a young age.